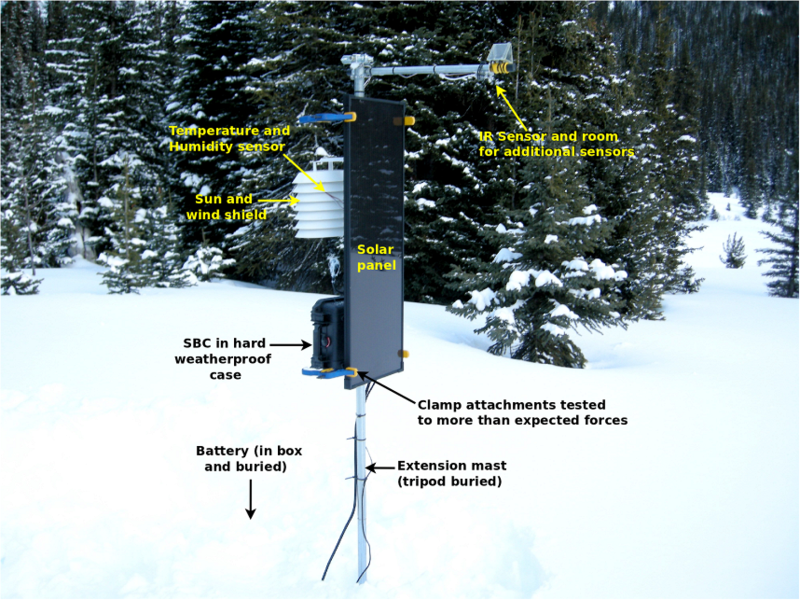 The project described here is a simple weather station that measures air temperature, humidity, and surface temperature of the ground below the weather station. 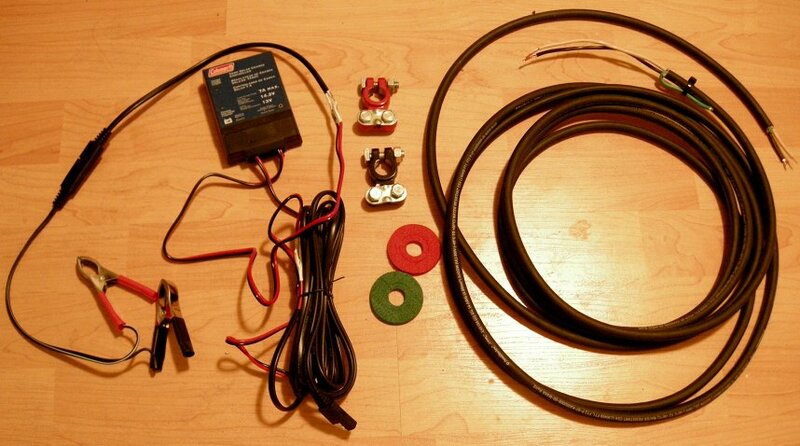 As with any of our described projects, Phidgets takes care of the electrical component design. Still, a project of this magnitude require a time investment in addition to a monetary investment. Designing projects like these is hard. But the reward is deep - and very real. A full, functional outdoor sensor system that you can build to whatever specifications you like... ask any hobbyist and you may see their eyes light up remembering their latest project. Building such things is a special kind of freedom! 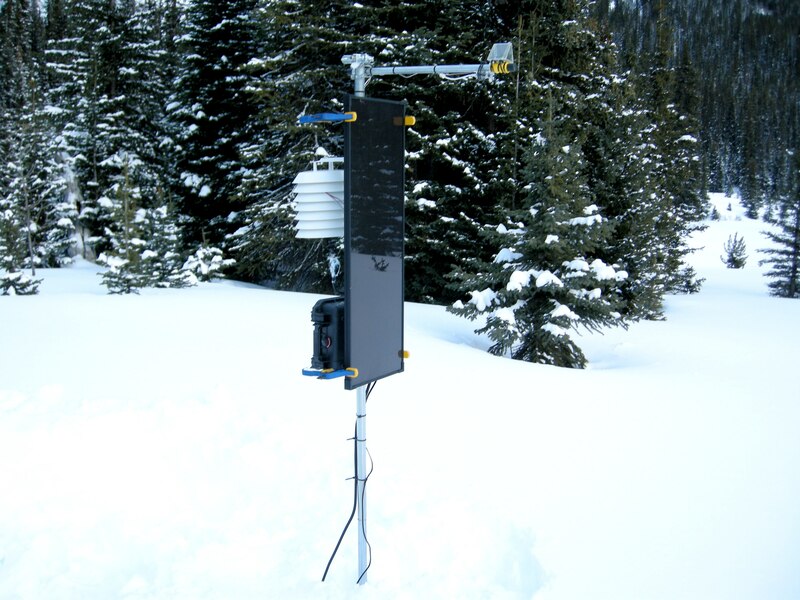 A remote station project can monitor and log weather and other environmental conditions using Phidgets. We start with all of the pieces (the Phidgets, the power supply, the main structure, and the code) and then put it all together. 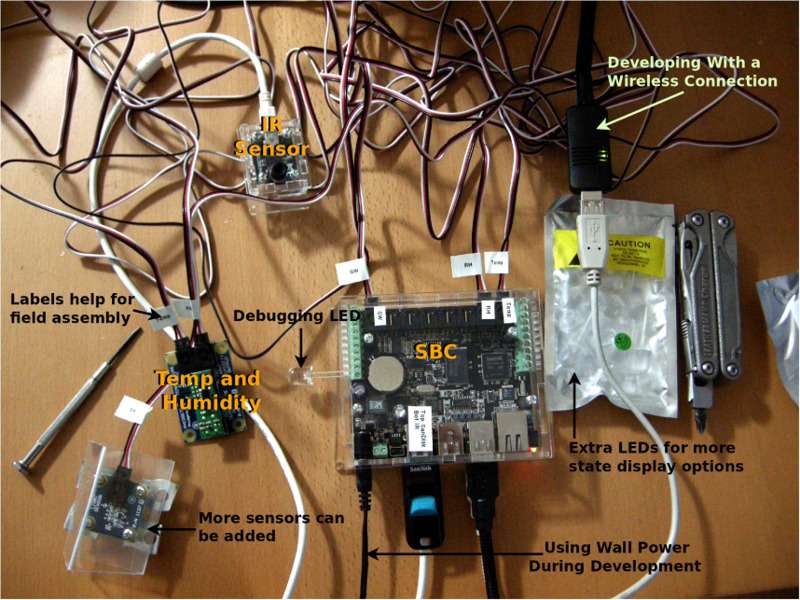 The SBC has the ability to run both USB-based Phidgets (such as the 1045 - PhidgetTemperatureSensor IR) and analog-based Phidgets (such as the 1125 - Humidity/Temperature Sensor). But we have a variety of different environmental sensors that you could use on your system. The included 1018 - PhidgetInterfaceKit 8/8/8 on board the SBC can handle up to 8 analog sensors, and 8 digital in sensors like switches. Take note that the rated temperature range for the SBC is 0-70°C. You will also notice that it looks substantially colder in most of the pictures than 0°C! There are a few reasons for this. The first is that the SBC is being kept in a sealed container with some (admittedly minor) insulation. Also keep in mind that the SBC will generate heat just like any electronics that have power flowing through them; the SBC is essentially a 1W heater all by itself which, when inside the case, keeps the temperature up significantly above the outside temperature. That said the temperature inside the case is still below 0 on a fairly regular basis. This just goes to show you that the temperature range is not a hard limit and the board will function below it, however there are no guarantees at this point, the SBC could stop functioning at basically any time. It would start up again as the temperature increased but it is very likely that the board seizes up and remains inoperable for long periods of time if it is not being monitored. This was a risk we took and luckily we didn't run into any issues. 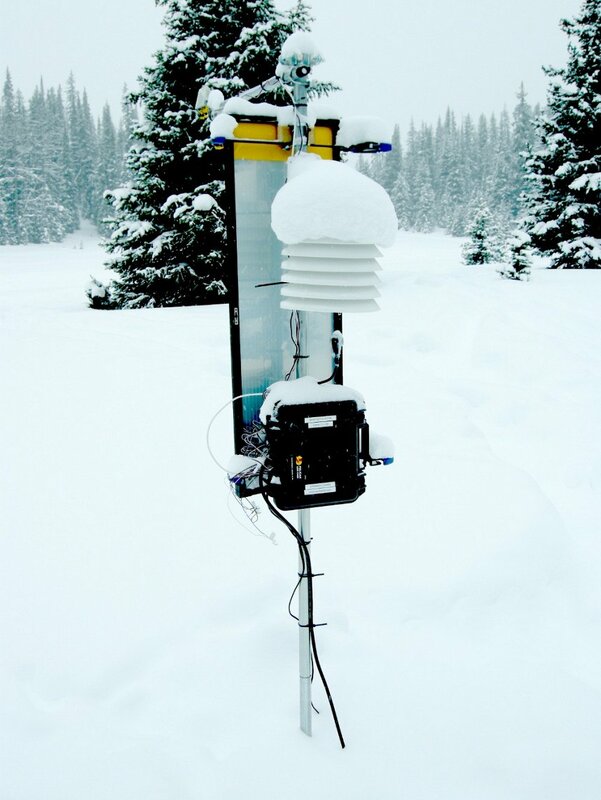 For the record the coldest temperatures we recorded during the operation of this weather station were between -10 and -15°C. I would not recommend attempting to run it in a colder environment than that without steps being taken to actively heat the board. Using these components requires a bit of care, so the next sections give some suggestions on how to use each Phidget. Measuring the temperature of the ground is useful for things such as highway temperature in the summer, or snow surface temperature in the winter. The IR board can face downward to do this without contacting the surface itself. These concepts and terms should help you get started in your research on how to correct the data specific to your needs - or if you need to do so at all - but a full course in correction is beyond our scope here. Temperature sensors need to be protected from heating by the sun. 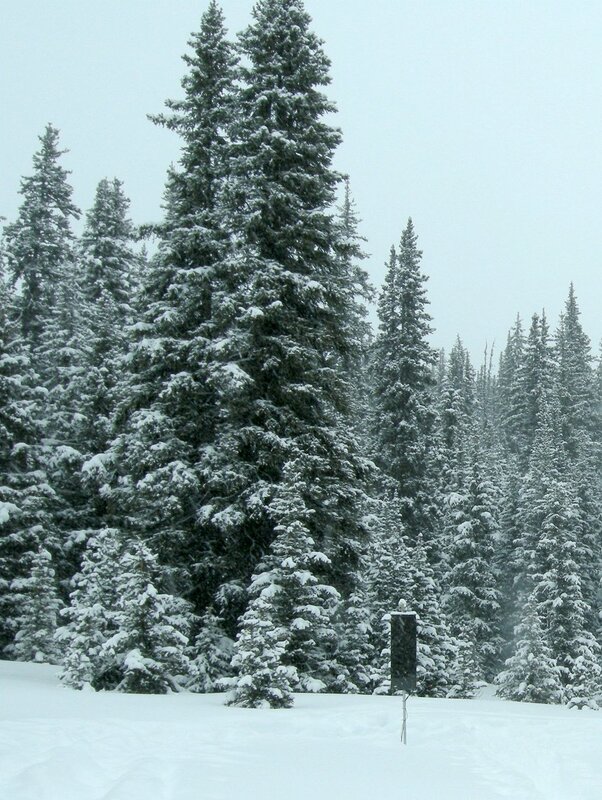 Both humidity and temperature sensors need to be protected from snow accumulating on them so that they can interact with the ambient air. A standard, suspended, white plastic Stephenson-type screen can provide this kind of protection. Plastic ones are inexpensive, and available from specialized weather stores. The photo in the Introduction shows a typical shield screen of this type. Whatever webcam you choose, you should test it outside to properly set the exposure and focus. Most webcams are not weatherproof. Your webcam can either be housed in a weather resistant housing such as those designed for outdoor floodlights, or sealed directly (except the lens) with thick, low-temperature caulk. From the Phidget documentation, we know that the Single Board Computer (SBC) will run at 1.2 watts with no power consumed by devices in its USB ports, and 2.5 watts maximum if all USB port devices are drawing power to maximum specification. Because the power to all sensors and USB devices is included in this estimate, this is what we use to pick a battery and a solar panel. You don't necessarily need an internet connection to use the wireless, as you can connect to it via its phidgetsbc.local local link address. On the other hand, without a wireless adaptor, the SBC is essentially running autonomously. You can save a lot of power this way, but if the SBC gets into an undesirable state (extreme weather causes it to reboot, a USB Phidget wiggles loose and doesn't properly attach in software, etc) your only options are to either reboot, or add a network connection to log in and change things. As we do not use wireless here, but do use a webcam, we use an estimate of 2.0 watts to run the SBC. We would like to have a power setup that will operate continuously, rather than having to replace the battery. This involves solar power, and it also involves knowing something about the expected weather (namely, the sunshine) in the installation location. Your solar watt capacity should be big enough that in periods of sun it can recharge the battery much faster than the SBC will drain it. To take an example as to why this matters, imagine installing a 2.0 watt solar panel into your system. If there were sunshine 100% of the time, this would be a closed, self-refreshing system because the SBC would draw 2.0 watts from the battery, and the solar panel would put 2.0 watts back in. But with only a short period of dark, the battery will be drained slightly and never refreshed. So we need to consider all of the factors that could cause darkness (or relative darkness) and determine from them how big a solar panel we need. We start with choosing amorphous solar panels because of their low cost, and (more importantly) their ability to charge a battery in low or indirect light conditions. Then, we account for nightfall. This at least doubles our solar needs, especially in winter when nights are long. We assume 3/5 dark time, as twilight conditions are poor for power generation, and the station will be installed in a valley with high ridges blocking the sun for morning and evening. So even assuming every day is sunny, we will only receive 2/5 charge time, and will need 5/2 (5 watts) of power via the solar cell simply due to location and season. ...68 hours. At 2/5 charge time from the nightfall calculation (giving ten hours a day of charge), a 10 watt panel would recharge in the expected week (6.8 days). This gives us an idea of what class of solar panel we are looking for, and from here we can examine 10 watt and larger panels with respect to cost and size. After examining cost, a 10-watt panel was nearly the same size and cost as an 18-watt panel ($80), and so an 18-watt panel was used here. The 18-watt panel also would help add a buffer when - even on non-storm days - high mountain clouds form and further reduce the available sun. Your battery amp capacity should be big enough that the SBC can run continuously, with reserves, in times of cloudy weather. Even with a proper type of battery, if your SBC completely drains your battery, depending on the battery type it has a chance of dying completely (which is called bricking) and will lose its capacity to recharge. We have an in-depth description of how to choose batteries in a more general power needs section. From the information in that section, we can determine that we will probably be using a 12 V battery, and that the SBC will draw 0.17 amps with a 12 V battery. Using this in the solar power section, we calculated that the drain on the battery during a long storm would be, at worst, 57 amp-hours, and so this is the minimum usable capacity we need for the battery. At more than about 30 amp-hours, the battery that makes the most sense is the large car-battery type lead acid battery. However, typical car batteries won't work as they are not deep cycle that is, they are designed to stay fully charged most of the time. Drawing current from this type of battery continuously will only damage and eventually destroy it. Batteries for RVs, boats, electric golf carts, and the like are designed to be used up through most of their amperage capacity, recharged, and used again and again - these batteries are deep cycle batteries. The battery will probably be a higher cost than the solar panel. A 60-70 usable amp-hour lead acid battery will be about $100 and 50 lbs. When choosing a battery, the 'buy in bulk' philosophy can come into play. For example, this station ended up using a 110 amp-hour battery, which was $115 and 65 lbs. This is not much weight or price difference for nearly double the power capacity. And extra power capacity will give you extra buffer when you are testing your system at the beginning. There are many different types of deep cycle batteries - not just lead acid - and they vary in price significantly. There are resources all over the Internet about different battery types to use with solar panels (as well as a primer that we have), so we will not describe them here. The key deciding factor is how long the installation is designed to last. 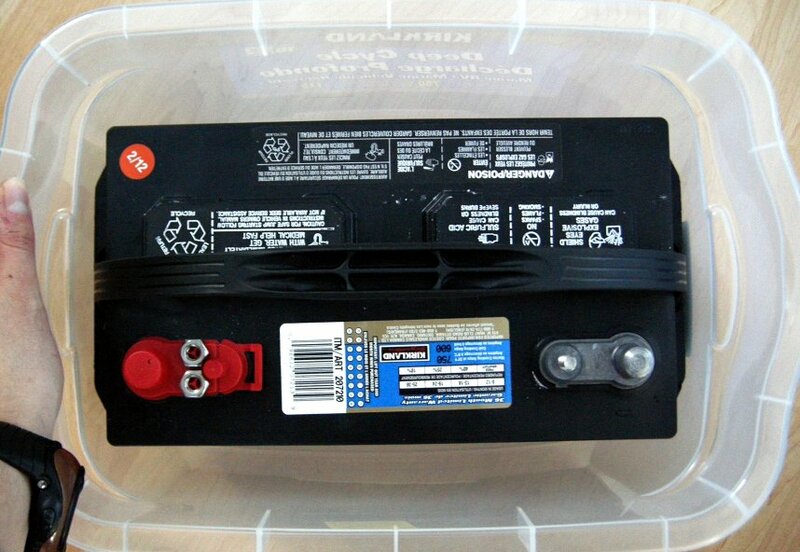 Lead acid batteries have a lifespan of about three years. Longer than that, and you will need to purchase a more expensive battery. Although most of these components individually are inexpensive, put them together and the Phidgets are only a small portion of the overall system cost. And so on. So plan to spend a while working your particular system out with diagrams, lists, or whatever works for you. 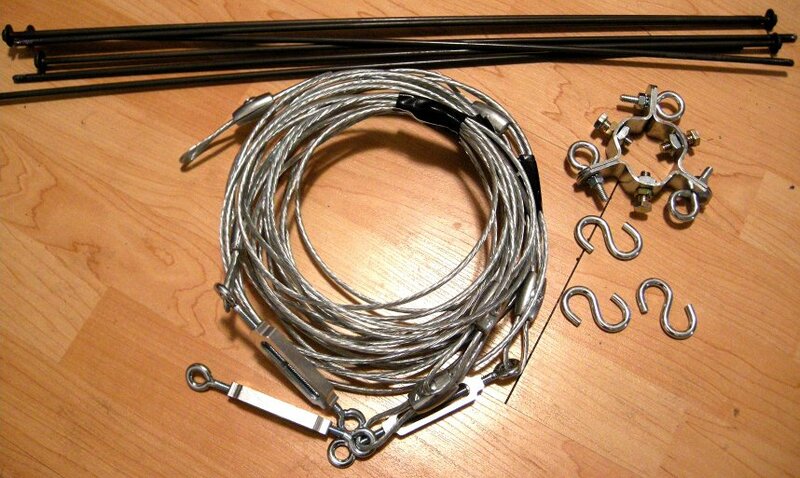 We found U-bolts to be sufficient for most mounting needs, and quick grip clamps to be sufficient for the solar panel (a person could hang on them), which made the station easier to maintain. This station was designed to be run for a few months and then moved or taken down; a more permanent installation may have a different design. Of course, there are many, many other ways to design this code - in Java, to run at boot rather than as a cron job, and so on - and many of these alternatives are outlined on the OS - Phidget SBC page. 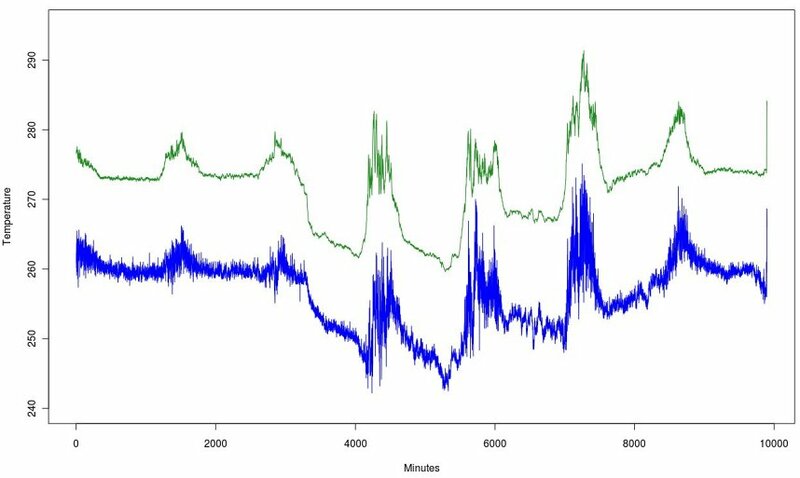 For this example, we have two Python scripts: station.py which runs the sensors once per minute and saves the data, and webcam.py which saves a webcam picture once per minute. You can download the files here. This station handles two USB Phidgets (the Interface Kit on the SBC board, and the IR Temperature sensor), and two analog Phidgets (air temperature, and humidity). We have code snippets for using more than one USB Phidget on the General Phidget Programming page. To use more than one analog sensor, you simply use the port number it is plugged in to. As shown on the general programming page, you can automatically detect which USB Phidgets are attached, without knowing their serial number. But you cannot detect which analog ports are being used, unless create an ad-hoc method, such as assuming a value of 0 means no sensor is attached, and any other value indicates an attached sensor. After we read the data from the Phidgets, we want to save it on the USB data key. We can either hard-code the location or automatically detect where the key is plugged in. Using USB keys with the SBC is discussed in detail on the SBC operating system page. We will hard-code the location in this section's code, but we show how to automatically detect a USB key in the Moving USB Data section. errors = errors + "Phidget Exception on turning off LED\n"
errors = errors + "Runtime Exception on object creation\n"
errors = errors + "Phidget Exception on Open\n"
errors = errors + "Phidget Exception on Attach\n"
errors = errors + "Phidget Exception on Ratiometric turn on\n"
errors = errors + "Phidget Exception on reading Temperature and RH\n"
errors = errors + "Phidget Exception on reading IR Temperature"
outputLine = outputLine + str(datetime.now()) + ","
outputLine = outputLine + "T=" + str(currentTemp) + ","
outputLine = outputLine + "RH=" + str(currentRH) + ","
outputLine = outputLine + "IR-T=" + str(currentIRTemp) + ","
outputLine = outputLine + "IR-Brd=" + str(boardTemp) + "\n"
This code snippet shows only one LED in use to show status, attached to digital output port 0 (short LED wire goes into the ground G terminal). For ideas on using other LEDs to display the status of the SBC and your program, see the status section. This can be written differently to start with, or parsed later into whatever data analysis program you want to use. The station was visited once per week to obtain the data. On these visits, we would simply change out the old USB key for a new one on every visit, and reboot the SBC. We also considered the alternative of writing some extra code to detect when a second USB key is plugged in and copy all of the latest data to it. After experimenting with both, it turned out that the change-and-reboot option worked well and was the simplest. Rebooting the station at every visit was no problem because the cron job simply restarts as soon as the SBC restarts. Having only one key with the data on it for the week, and then installing a fresh one, created only one key to keep track of at a time. checkUSBcommand = "mount | grep sdb1"
usbLocation = outputArray  # Get the number right after "usb"
# If we've gotten this far, there is a key and we need to write to it. usbLocation = "/media/usb" + usbLocation + "/"
There are many ways to use LEDs to communicate status, but a key way is to have the LEDs turn on when reading data, and turn off when finished successfully. Then, if they remain on at your next visit, you will know an error was triggered. If you use more than one LED, especially of the same colour, make sure to label them! The LED setup that was used in this particular station turned an LED on for measurement, and then off on successful program exit. Then, when the station SBC was rebooted in the field, a briefly flashing LED once per minute means the reboot of the station and software was successful. 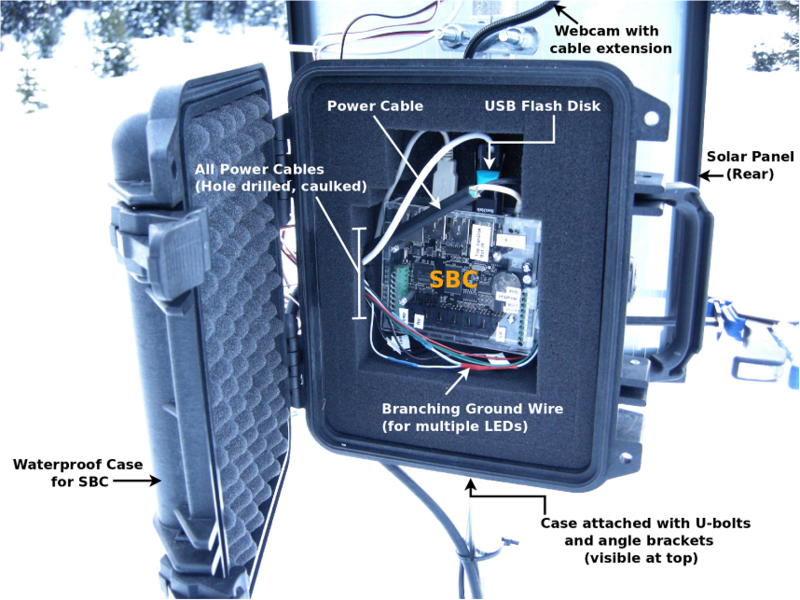 There is a lot of information on the SBC operating system page on using UVC compatible webcams. That section describes how to install the opencv supporting library, which was used to control the webcam. filename += "-" + str(now.hour) + "-" + str(now.minute) + ".jpg"
You can schedule your Python scripts the same way we did - as cron jobs by following the cron section on the SBC operating system page. Both files were saved in the default home directory /root. Pick a day with reasonable weather for the installation, so you can slow down and do things carefully. It is good to check your code very carefully before installing, but if something doesn't go right, you can always remove the SBC, transport it home, fix it, and reinstall relatively easily. When you check on the station, things you may not expect can happen in the interim, so consider bringing a small repair kit each time as you work the bugs out. The ports can sample at any time interval up to the maximum data rate of the Phidget Interface Kit attached to the SBC. So you can also write fast-sampling code that runs constantly from the SBC boot time and samples very quickly. With fewer than four analog sensors, you can sample up to 1000 times per second. The Single Board Computer is just that - a computer! So you could install something like the R Statistical Package (you can do this by using apt-get install r-base over SSH on the SBC) and do analysis on the data as it comes in.